Blizzard has said that its massively popular MMO World Of Warcraft will likely never arrive on home console. World of Warcraft is currently available on the PC and on the Mac and, according to the game's lead producer J. Allen Brack there are a lot of reasons why it won't appear on Xbox 360 or PS3 anytime soon. "There's not one thing. One is [that] it takes a long time to develop an MMO. The lifecycle of consoles being what they are, you have to really time when your console's going to come out, what its projected lifecycle is going to be with when your game is going to be, which is challenging." The Blizzard rep also noted that there were other technical issues – for example, while all PS3s have hard drives installed, that is still not the case for the Microsoft Xbox 360. "There's patching challenges," the Blizzard man added, "there's the quality controls that we have vs. the quality controls that say, a Microsoft or Sony or Nintendo has. 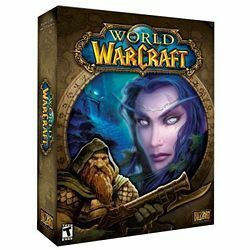 "All those things sort of raise the bar in terms of the challenges and then specifically in the case of WoW, WoWwas designed to be a keyboard game and its control scheme and its camera controls and the number of abilities that you have and the spells and how things work are very keyboard-centric. The idea of translating that to a gamepad is a very, very challenging proposition." Overall he thinks that it is "unlikely that WoW comes to the consoles…it is something that we talk about on a pretty regular basis, but someone is going to figure out how to make an MMO on a console and they're going to be wildly successful. I have no doubt about that."